13 Nov 2015 Washington, D.C.
Kurdish forces have liberated the strategically important northern Iraqi town of Sinjar from the Islamic State (ISIS/ISIL) after two days of fighting, a Kurdish leader claims. 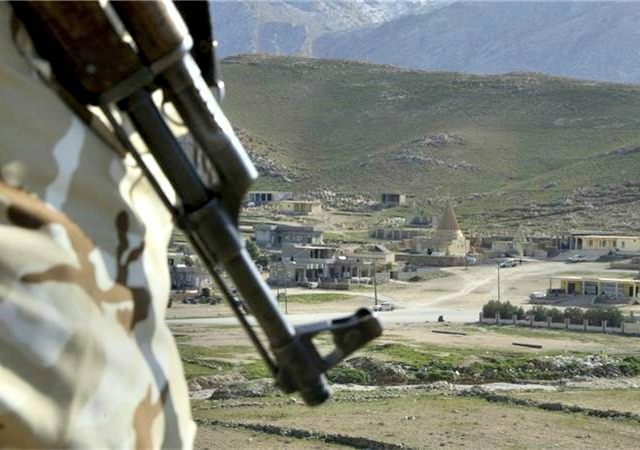 Sinjar, a Yazidi town that lies along Iraq’s border with Syria, fell into the hands of ISIS last year. The jihadist group executed, enslaved, and raped thousands of Yazidi civilians when it overran the town in August 2014. “According to radio communications intercepted by the Kurdish forces, ISIS leaders threatened any deserters with execution,” under pressure from the Kurds, adds the report. Citing pro-ISIS sources, an Al Jazeera reporter in the Sinjar region said that most of the jihadists had left the town on November 11, in what they described as a tactical withdrawal. CNN reports that Kurdish forces recaptured the town on Friday. “The Peshmerga — the Iraqi Kurdish military force — unfurled an enormous Kurdish flag over silos in Sinjar in a symbol of conquest, just the latest territory that Kurds have captured from ISIS in areas near the region they inhabit in Iraq,” notes the report. “I am here to announce the liberation of Sinjar,” Masoud Barzani, leader of Iraq’s Kurdish autonomous region, told reporters near the town on Friday, according to Al Jazeera. “Without doubt, any victory in any area will have a big impact on achieving victory in the remaining areas. And without doubt the liberation of Sinjar will have a big impact on liberating Mosul too,” he added. An estimated 7,500 fighters participated in the offensive. CNN concedes that the fight for Sinjar is not over. Nick Paton Walsh, CNN’s senior international correspondent in Sinjar, indicated that pockets of ISIS resistance remained Friday. “There are still people resisting the Peshmerga,” he reported. The Kurdistan Region Security Council hailed the offensive as “a resounding success for the International Coalition in its efforts to isolate ISIL and target its strongholds both in Syria and Iraq, including in Raqqa and in Mosul,” reports Rudaw. U.S. Secretary of State John Kerry, speaking from Tunisia, said he was “absolutely confident” Sinjar would be freed in the operation. Imran Khan, a reporter for Al Jazeera in the Sinjar region, said the Kurdish peshmerga fighters walked into the border town almost unchallenged. “The Kurdish Peshmerga entered the town from the north this morning [Friday] and took over the municipal building there. They now say they are in control of the entire town,” he reported. “But pro-ISIL sources told me that most of the ISIL rebels had left Sinjar on November 11, in what they said was a tactical withdrawal,” later added Khan. The Iraqi town of Sinjar is strategically important to ISIS because it is located along the Syrian border and therefore allows the terrorists to maintain a cross-border territory for their so-called Islamic Caliphate.